Technology is changing the way educators teach, students learn and how the two group interact with each other. All this week, we’ll look at some of the ways Vandalia-Butler City Schools teachers are incorporating technology into their classrooms. From math games, to independent learning, computers and other devices are showing students new ways to learn. 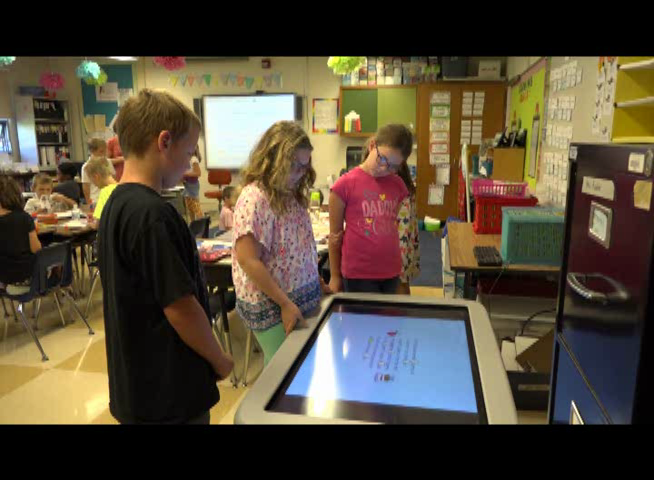 In AnnMarie Pindroh’s classroom at Demmitt Elementary School, students have a chance to put their lessons into action using a SMART Table. The SMART Table allows small groups of students to collaborate on various activities and games. The touch screen on the table, lets students stay active and engaged.